Photo by FL2020. More at flickr.com. The city’s shopping hub is now a colourful melange of vivid colours, peddlers and rampant pickpockets. 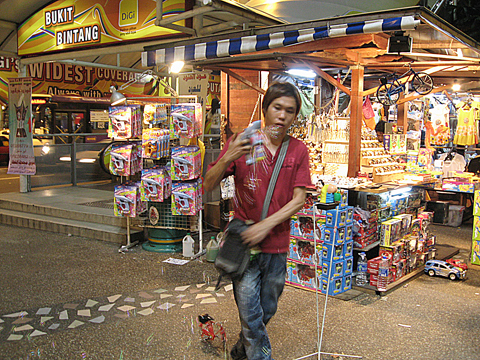 This kiosk just by the Bukit Bintang monorail station sells an assortment of toys but the promoter doesn’t look too jubilant although a ‘bubble gun’ is supposed to be fun.